Lost: 21 May, 1941 (Cdr. ST. J.R.J. Tyrwhitt, RN.) (c 34-30’N,26-30’E) was bombed and sunk south east off Crete by Italian bombers (5 Cant Z.1007 from the 50th gr. piloted by Lt. Morassuti). 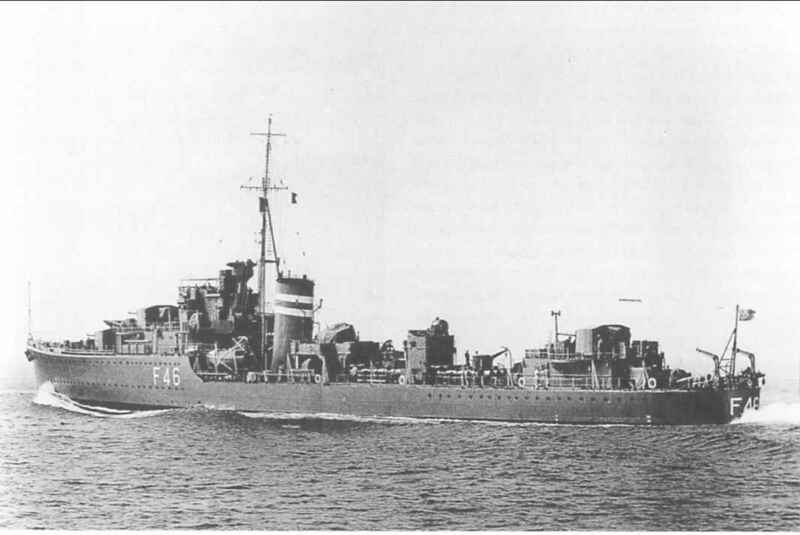 During the night of 6/7 December 1939 the German destroyer Z 12 escorted by her sister ship Z 10 was on an offensive mining operation off Cromer. At 0255hours, just 15 minutes after the lay had been completed, the German ships sighted the British destroyers HMS Juno and HMS Jersey about 8000m away. The Germans turned to a parallel course and by 0310hours had closed range to 4,600m while remaining undetected themselves. Z 10 fired three torpedoes at Juno, the lead British ship while Z 12 sent four more torpedoes at Jersey. Z 10's salvo missed, but Z 12 scored with one torpedo. The blow started a large fire and caused damage that required ten months to repair. Juno turned back to assist Jersey, making smoke; apparently the British believed a submarine had attacked them. The Germans still had the advantage of surprise and fired at least five more torpedoes, but then they decided to break off the action and return for home. HMS Jersey was under repair until 23 September 1940.